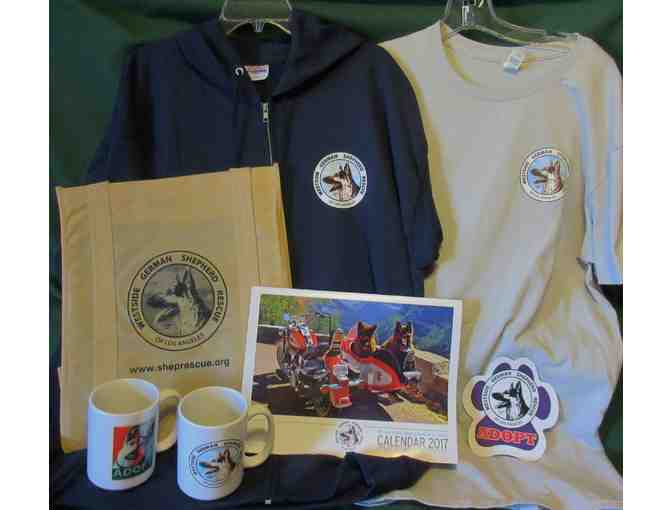 Show your pride for Westside German Shepherd Rescue of Los Angeles with this package of merchandise. The winning bidder will select color and size of sweatshirt and t-shirt. Your support matters, so Westside German Shepherd Rescue of Los Angeles would like to use your information to keep in touch about things that may matter to you. If you choose to hear from Westside German Shepherd Rescue of Los Angeles, we may contact you in the future about our ongoing efforts. Copyright © 2003-2019 Westside German Shepherd Rescue of Los Angeles and BiddingForGood, Inc. All Rights Reserved. Designated trademarks and brands are the property of their respective owners.